Vintage back issues of London based UK Oz magazine are in stock with negotiable prices for multiple purchases. 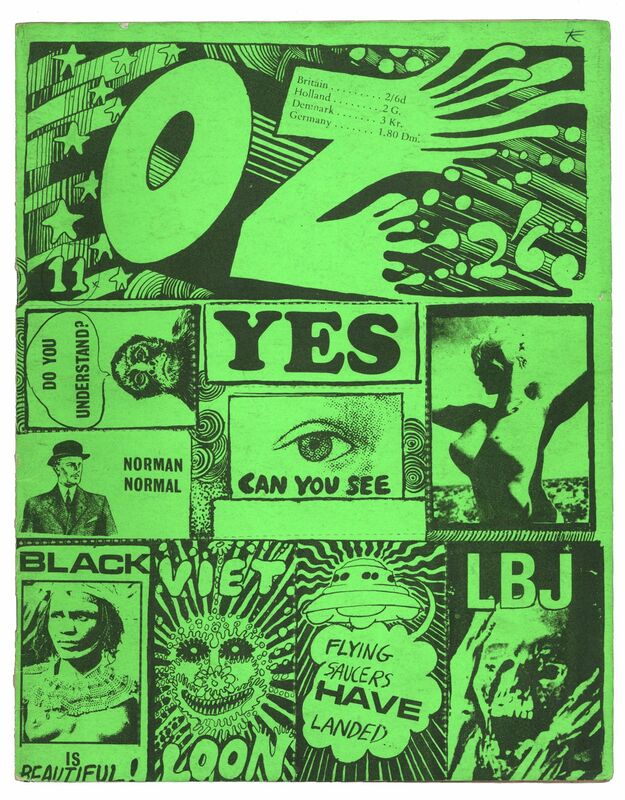 Oz magazine lasted for 48 issues between 1967 and 1973, London Oz Magazine was a revolutionary anti-establishment, agitprop, underground publishing phenomenon that paved the way for changes to UK obscenity laws. Oz triggered outrage, numerous police raids and the longest obscenity trial in British legal history mainly due to the infamous School kids issue which was actually put together by genuine secondary school kids. Three of it's editors were jailed Richard Neville, Felix Dennis and Jim Anderson receiving harsh sentences but were acquitted on appeal. After 48 glorious issues Oz magazine ceased publication in November 1973 due to a £20,000 debt.